2018 Porsche 911: The Knights of Germany! 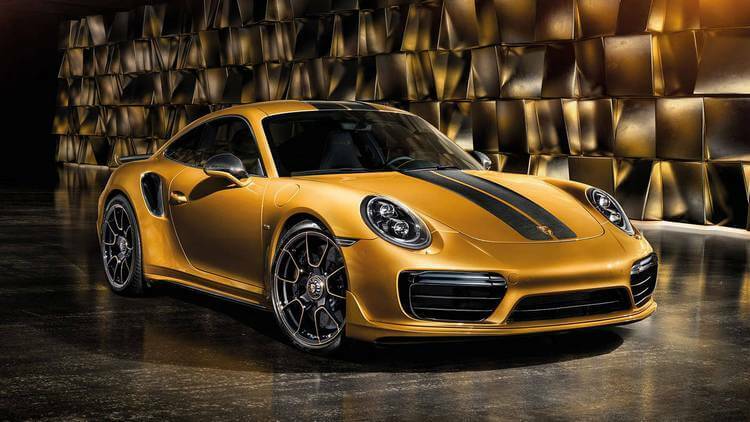 Home » Automobiles-Cars » 2018 Porsche 911: The Knights of Germany! 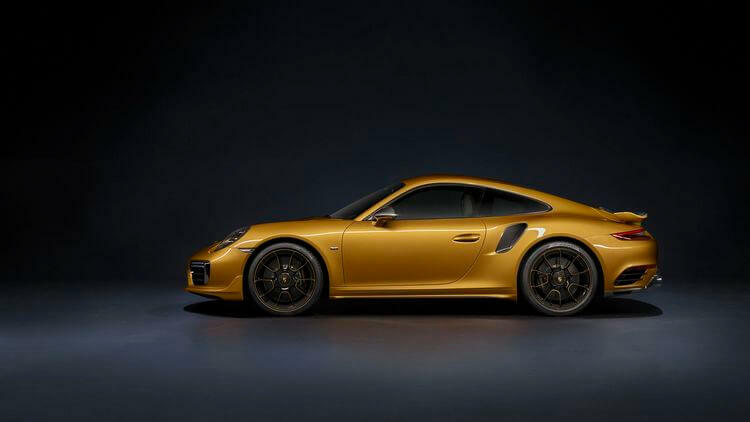 As prestigious as it is, Porsche 911 has always been one of the top customers’ choices when it comes to sports cars. This famous knight of Germany first started its career in 1963 and reaped various achivements. 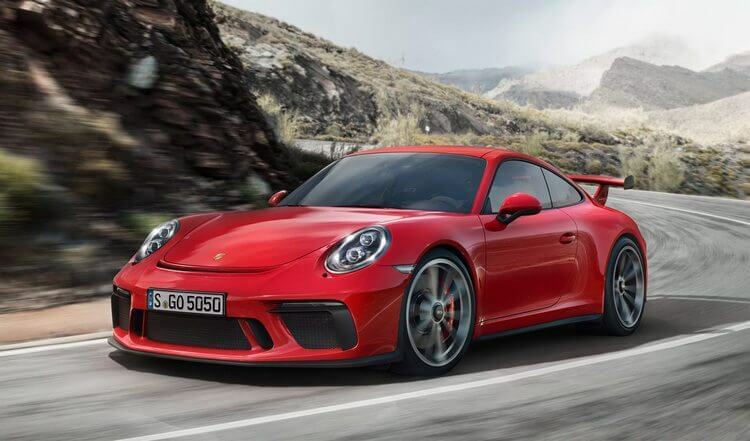 Even now, the 911 series is still a huge success with various awards like being the Porsche 911 GT3 being the 2017 Auto Express Performance Car of the Year or the 2017 Porsche 911 Carrera being a heavy contender among the 2017 Motor Trend Car of the Year’s finalists. But of course, the knights of Germany won’t simply stop at that. 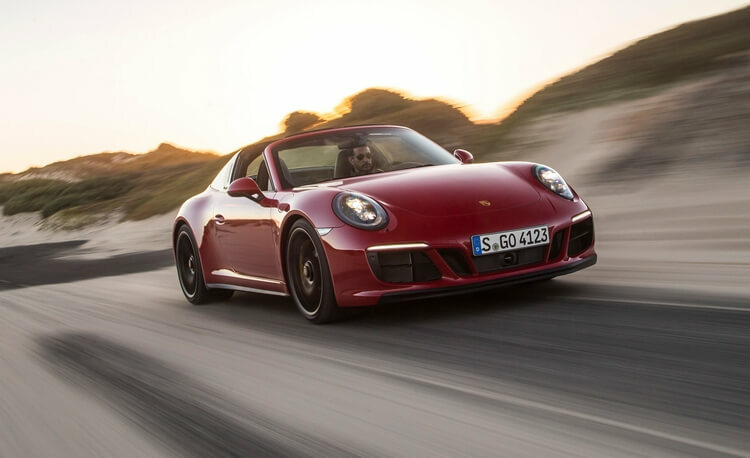 They are yearning for more and this time, with 2018 Porsche 911. How powerful this new 911 is? Let’s find out! The very first generation of Porsche 911 was in production in 1963, which means this famous Porsche series has gone through tons of efforts and new innovations including styling, shape, engine, systems, and more… The last 2017 Porsche 911 was also quite a big leap for the 911 series in terms of systems and engine. And as mentioned, the 2017 Porsche 911 was a great success so it is natural when we expect more from this new 2018 model. 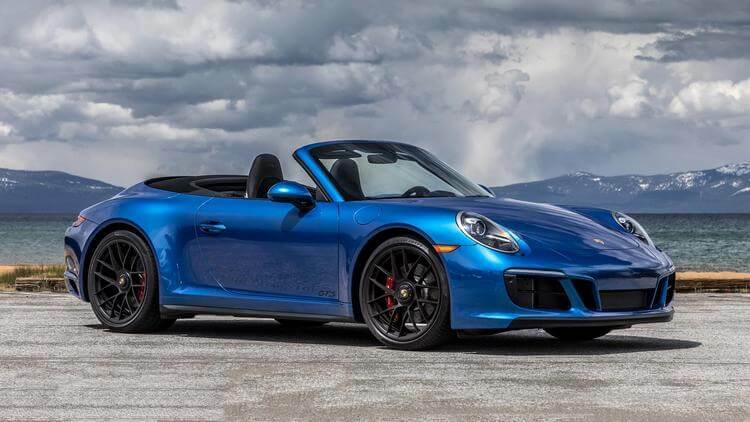 Like the previous generations, Porsche have created no less than 20 new models, featuring Carrera line like 911 Carrera, 911 Carrera Cabriolet, 911 Carrera 4, 911 Carrera 4 Cabriolet. Each of the Carrera models also has its own S-version with extra horsepower and several changes. Besides those, we will also get to see the long-awaited 911 Carrera T, the 911 GTS, and the 911 Turbo. All of them are ready to give us new amazement for the 2018. Frankly speaking, on the outside the 2018 Porsche 911 does not look much different than the 2017 models. But as always, minor changes in appearance do not mean minor changes in engine and systems. Which leads us to a question: What 2018 Porsche 911 brings for us this time? As mentioned, the new Porsche 911 still stays close to its iconic shape: a harmonic combination between coupe, convertible, and Targa body-style, especially the elegant roll hoop and the bubble-like glass rear window. As mentioned, the overall shape of the car is similar to the previous 2017 Porsche 911. Probably the most noticeable changes are the modified front and taillights. In addition, the front fascia seems to have reworked for better downforce enhancement, so too the new rear wing. Such slight changes may disappoint certain fans who expect to see something new about the appearance design. That said, we can’t deny that the 2018 Porsche 911 still looks as splendid as ever. 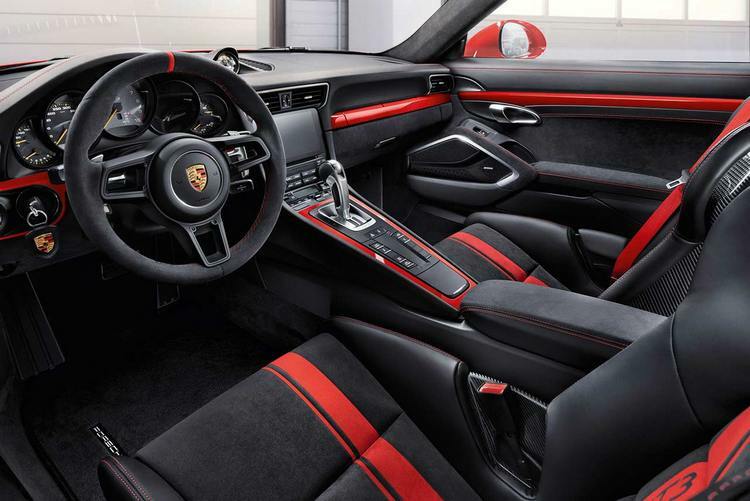 Just like the good ol’ 2017 Porsche 911, the Porsche 911 of 2018 also features luxurious interior design. Getting inside or outside of the 911 is easy and comfortable. The front seats are spacious and pleasant to enjoy. 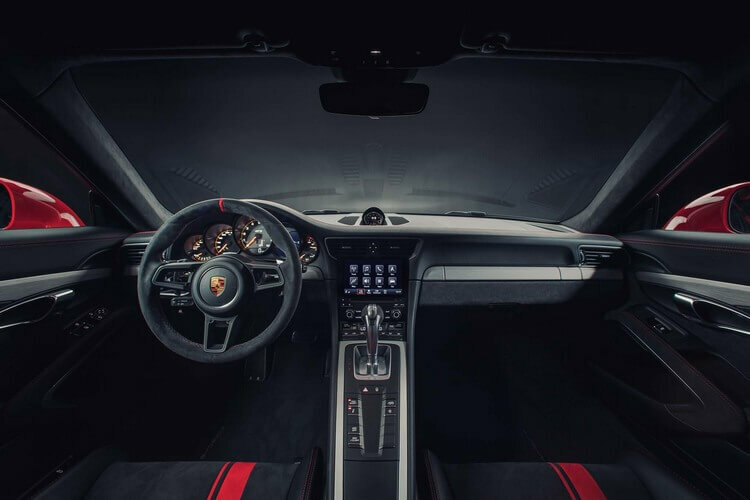 Of course, besides the traditional tachometer, there are various quality-of-life interior technologies like enhanced infotainment touchscreen, Apple CarPlay, rearview camera, power seats, 8-speaker sound system, and the Alcantara headliner. As always, we can have even further interior customization with Porsche’s Exclusive program. There are more options added to the customization list, for example we have new 2-tone mixes for the seats like the Black and Chalk with Guards Red stitching, Agate Grey and Chalk with Racing Yellow stitching, Agate Grey and Black with Lava Orange stitching, Espresso and Luxor Beige with Cream stitching, or the Bordeaux Red and black with GT Silver stitching. Since the 911 is considered as 2+2, it does include rear seats. However, these rear seats are not ideal for passengers especially adults as the space is too limited with extremely limited leg-room. Such narrow space is not ideal for passengers but other that, the 911’s interior is indeed spectacular. For the heart engine of the 911, we have the 3.0-litre twin-turbocharged flat-six which can unleash 370 horsepower and the max speed of 183 mph. It will take about 4.5 sec for the 911 to accelerate from 0 to 60 mph. In case of S-version, we have the additional 3.0 S Powerkit package will give the 911 an additional 50 horsepower. The 0-60 acceleration and max speed record comes from Porsche AG; however, it requires further testing to see the true extent of the 911. The new engine indeed feels more powerful and smooth, while the noise sounds extremely satisfying. Coming along with the twin-turbo flat-six engine are the two options: 7-speed manual or 7-speed dual-clutch transmission. The manual transmission is easy to use, while the dual-clutch transmission has quick respond to the shifts in manual and automatic modes. 2017 Porsche 911 has always been known for its exceptional performance and driving experience. And as expected, the new 911 also feels excellent and genuinely fun to ride. There are not many other sports cars which can provide as satisfying and usability like the Porsche 911. The Porsche 911 gets an adjustable bumpers system called “Porsche Active Suspension Management” (PASM) which provides different modes: Normal, Sport, Sport+, and Individual. In Normal mode, the suspension is softened and the steering gets lightened while still be able to respond quick and precisely. As the results, riding on the 911 on road is a genuinely pleasant and smooth experience. On the other hand, Sport and Sport+ mode offer even more aggressive options. While on track, the suspension firmly reacts to the road. And especially when at the corners, the grip feels powerful and easy to control while the brakes maintain strong without fading. To achieve such incredible experience, it is also thanks to the All-wheel-drive system. For customers who are looking for further Track option, for $1920 we gain additional modes, dynamic engine mounts, special stability software, and PDK launch control or rev-matching downshifts. 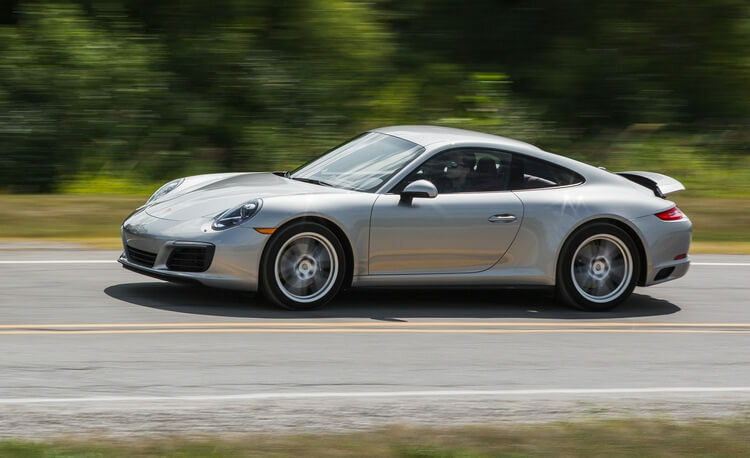 Overall, 2018 Porsche 911 is an incredible sports car suitable for both track and daily usability purposes. The driving experience with Porsche 911 is simply genuine and sensational. The only thing which may dishearten certain fans is probably the unchanged appearance design. But nonetheless, things can hardly go wrong with this knight of Germany and if you are looking for a $120,000 sports car with high usability, look for further than the 2018 Porsche 911. And that’s it folks! What do you think about the 2018 Porsche 2018? Feel free to share with us and for now, thank you and stay tune for more news in the future! A 2018 Aston Martin Vantage Review: Will It Triumph Victory? Pingback: 2017 Ford GT: Pressing Towards The Future!